Explore public safety career opportunities from around the nation that best align with your career goals. Browse postings from the best agencies – click below to get started today. Service is a crucial component of Galls, and the best service can only be accomplished with the best team. The same holds true for you. With millions of customers using our site each year, let us help you connect to the best Public Safety Professionals. Simply fill out the form below to take the next step or email us for more information. GENERAL DESCRIPTION: This position, under moderate supervision from the Police Sergeant, performs a full range of duties associated with traffic and criminal law enforcement. EXAMPLES OF WORK: Responds to emergency calls for Police, Fire and EMS services. Responds to calls for service and assistance. Enforces local, state, and federal law. Effects lawful arrests of suspected criminals by taking them into physical custody, conducts investigations of alleged or suspected criminal activity in response to complaints received or information developed in the course of assigned activities. Completes written reports, conducts interviews and testifies at court proceedings. Click link for additional details and job qualifications. Click link for additional details and job qualifications. The Alaska Department of Public Safety (DPS) is seeking qualified applicants to attend the DPS Training Academy beginning on February 23, 2020. Successful candidates will be appointed as an Alaska State Trooper Recruit or Alaska State Trooper, depending on their qualifications. All new employees to this job class receive high caliber training at no expense, and will earn wages and benefits while attending the academy. Performs journey level law enforcement work involved in preserving life and property, maintaining law and order and enforcing laws and ordinances. The Public Safety Officer II is an armed position responsible for protecting tribal assets in the Casino and provides general security for customers and employees. When required will be responsible for armed escorts. To perform responsible work in the protection of life and property through the enforcement of laws and ordinances, patrol, crime prevention, investigation, and other duties as assigned. This classification is distinguished by the highly responsible police work performed in the prevention and detection of crimes and for maintaining order. The LAFD is one of the best firefighting agencies in the world and has long set a standard of excellence for training and performance. The LAFD is a full-spectrum life safety agency protecting approximately 4 million people who live, work and play in America's second largest City. The LAFD's 3,246 uniformed personnel protect life, property and the environment through their direct involvement in fire prevention, firefighting, emergency medical care, technical rescue, hazardous materials mitigation, disaster response, public education, and community service. An equally committed non-sworn cadre of 336 professional support personnel provides technical and administrative expertise in their corresponding pursuit of the Department's Mission. Police Officer I positions are designed for recent California P.O.S.T. approved Police Academy graduates and persons that possess current California Basic P.O.S.T. certificates. Police Officer I positions work under immediate supervision in a training program to perform increasingly responsible law enforcement and crime prevention duties; respond to emergency calls for police assistance; patrol an assigned area to enforce laws; investigate suspicious conditions, traffic accidents, and complaints; make arrests; question witnesses and suspects; issue citations; prepare evidence and testify in court; fingerprint, photograph, book, supervise, and transport prisoners; report unsafe or hazardous conditions; answer inquiries from the public; and perform other duties as assigned. Police Officer II positions work under general supervision to patrol an assigned area in the enforcement of law and order and prevention of crime; respond to emergencies as directed by radio and telephone; investigate unusual or suspicious conditions, traffic accidents, and complaints; make arrests, guard prisoners, and question witnesses and suspects; issue citations; prepare evidence and testify in court; fingerprint, photograph, book, supervise, and transport prisoners; prepare reports on investigations, offenses, arrests and activities; serve criminal and civil papers; answer inquiries from the public; and perform other duties as assigned. If you are motivated, possess integrity, good communication skills and a strong work ethic, we encourage you to pursue a career as a Santa Monica Police Officer. Our department offers opportunities for career development, promotions, and a wide range of challenging and rewarding special assignments. We are a rapidly growing department located in the beautiful San Luis Valley in Southern Colorado. We offer top of the line equipment, Excellent training and flexible hours. Job Qualifications: Able to provide optimum patient care in accordance with the State of Colorado and all regional guidelines/protocols. Shall be responsible for the safe operation of all Baca Grande EMS vehicles in accordance with current Colorado motor vehicle code. Must be an Colorado Certified EMT or higher. Open Until Filled. The Town of Vernon is accepting applications for Certified Connecticut Police Officers. BENEFITS INCLUDE: Paid Vacations, Paid Holidays, Health Insurance, Long-Term Disability Insurance, Group Life and AD&D Insurance, Pension, Sick Leave, Clothing Allowance and Equipment Provided. Certified Officers are eligible for a signing bonus of $500 for each year of experience as a certified officer, not to exceed $2,500. Employees hired after 7-1-00 may purchase, during the first year of employment, for retirement plan purposes only, up to three (3) years of service as a sworn police officer in another municipality, provided the employee actually performed law enforcement work, and provided the employee is not entitled to a pension from the municipality. MUST HAVE COMPLETED THE FLORIDA POLICE ACADEMY AND HAVE PASSED THE FLORIDA STATE OFFICER CERTIFICATION EXAMINATION. General duty police work in the protection of life and property. Must be at least 19 years of age and high school graduate or GED equivalent. Must have a valid Florida Driver's License with an E endorsement. Pre-employment medical examination, drug and nicotine testing required. Application is located on the Town's website (www.manalapan.org) and must be completed and submitted to the Town. Job Summary: A highly visible certified law enforcement position in which the incumbent is responsible for patrolling an assigned area for the prevention of crime, protecting lives and property, apprehending and assisting in the prosecution of offenders, preserving the public peace, and enforcing various regulatory measures. Working conditions: Work in a standard Law Enforcement environment. Position may occasionally travel to other locations within and outside County areas. Position may come in contact with hazardous, dangerous, deadly devices or substances. Position may experience possible exposure to stress, physical assaults, verbal assaults, and/or extreme elements. Position may come in contact with or exposed to body fluids or animal fluids. Exposed to wildlife/animal encounters at any time. Education and Experience: High School Equivalent (Diploma/General Equivalency Diploma) preferred AA/BA Degree from an accredited college, CJSTC Law Enforcement Certification. Two/four years Law Enforcement experience preferred. Bilingual helpful for this position. This position must have a Valid Florida Driver License at all times. The Florida Highway Patrol is the finest state law enforcement agency in the nation and we provide the highest level of professional law enforcement services available. We hold both National and State law enforcement accreditations. Using a comprehensive education and enforcement plan we promote safety throughout Florida. The FHP actively enforces the State’s criminal, traffic, motor vehicle and driver’s license laws. State Troopers are motivated, hard-working law enforcement officers specializing in traffic safety. Our women and men patrol Florida using state–of-the-art training, equipment, technology and resources to enhance our abilities. We have many exciting career and promotional opportunities. Troopers with two years of experience are eligible for specialty positions such as contraband interdiction officer, criminal investigations, dignitary protection, DUI patrol, Instructor, motorcycle patrol, occupant protection specialist, recruitment officer, pilot, public affairs officer, special response team, K-9 handler, plus many more. Troopers with five years of experience are eligible to promote to supervisory positions. Be the Change. Make a real difference in your community by becoming a Chicago Police Officer. The City of Cynthiana is accepting applications for a Firefighter. Certified Firefighter (400hrs as recognized by the KY Fire Commission) and EMT preferred but not required. Must be 21 yrs. old, have a high school diploma or equivalency, able to meet physical, psychological and written requirements. Applicants shall have successfully completed the Candidate Physical Ability Test (CPAT). Information on CPAT is available with application. All applicants must be able to pass a background check and drug test. Excellent Benefit Package. The University of Kentucky Police Department has a variety of options for those interested in entering an exciting field in public service. This includes positions in administrative support, security services, police dispatching, and service as a peace officer. Louisiana State Police provides public safety services across the state on numerous levels. Our primary function is to conduct proactive patrol of federal and state highways and interstates; investigate traffic crashes; enforce traffic laws; provide assistance to motorists; and support local law enforcement agencies. In addition, LSP regulates numerous industries across the state and has full investigative capabilities covering areas such as Insurance Fraud, Special Victims, Online Crimes, Auto Theft, Gaming Enforcement, Hazardous Materials, and many more. Louisiana State Police is continually looking for the best and brightest men and women to embark on a career as a Louisiana State Trooper and are currently accepting applications through our Louisiana State Police Commission. The mission of the New Orleans Police Department is to provide professional police services to the public in order to maintain order and protect life and property. Police Officer Job Description - A NOPD officer provides protection of life and property within the municipal boundaries of the Parish of Orleans and the City of New Orleans. This is a full time job. The City of Bangor is accepting applications to establish and maintain an eligibility list for the position of Firefighter/EMT (Paramedic). This list will be used to potentially fill current and future openings at the Bangor Fire Department. Requirements include the following: possession and maintenance of a valid driver’s license, the ability to acquire a Maine driver’s license, a high school diploma or equivalent. Applicants must at a minimum possess a Maine or National Registry basic Emergency Medical Technician (EMT) license. Preference may be given to candidates with firefighting experience and/or who possess a current Maine or National Registry Paramedic license. Candidates will be required to take a written exam, a written medical knowledge test, a practical medical knowledge test, and a physical fitness/agility test. Successful applicants will be required to undergo a background check, physical and psychological evaluation, become a licensed paramedic and live within a one hour response time from Central Fire Station by the completion of probation as prescribed by the current collective bargaining agreement. The Frederick County Sheriff's Office is a full service law enforcement agency; an arm of the court, and a keeper of offenders. In this regard it exists to serve all the people within Frederick County with respect, fairness, and compassion. The Sheriff's Office is committed to the prevention of crime; the protection of life and property; the preservation of peace and order; the enforcement of laws and ordinances; the safeguarding of constitutional guarantees; and safekeeping of prisoners. The Frederick County Sheriff's Office is dedicated to providing a quality work environment and the development of its members through training, education and leadership. The employees of the Frederick County Sheriff's Office Corrections Bureau keep the community safe by ensuring inmates are kept secure and pose no threat to the public while incarcerated in the Frederick County Adult Detention Center. They also must ensure the safety of their fellow employees and maintain order in the facility. For additional details and/or job qualifications contact Cpl. Vanessa Cronise at 301-600-3246. The employees of the Charles County Sheriff’s Office Corrections Division keeps the community safe by ensuring inmates are kept secure and pose no threat to the public while incarcerated in the Charles County Detention Center. They also must ensure the safety of their fellow employees and maintain order in the facility. The Corrections Division is comprised of five units: Custody and Security, Standards, Support Services, Central Processing and Inmate Services. The Detention Center maintains 100 percent compliance with the hundreds of standards set by the Maryland Commission of Correctional Standards. These standards mandate a safe living environment for inmates and a safe working environment for correctional officers. The Detention Center has an Emergency Response Team that responds to inmate fights and other potentially dangerous situations within the facility. Volunteers undergo one week of intense training and practice bi-monthly so they are prepared to handle high-risk incidents. The Detention Center has a rank structure, which provides personnel with opportunities for advancement and supervisory roles. Perform a variety of peace officer duties involving the protection of life and property, enforcement of laws and ordinances, criminal investigation, crime prevention and suppression, case preparation and testimony; provide information and assistance to the public; this is the first working level class in law enforcement expected to perform all duties required to effectively respond to and resolve the normal scope of peace officer situations. Patrol assigned areas to ensure the security of life and property; observe situations and deter crime by providing high visibility; provide information to the public concerning methods for improved security. Respond to suspicious activities and answer emergency calls for service; enforce local, state and federal laws and ordinances; issue verbal warnings and citations; pursue and apprehend suspects and request assistance as required; transport prisoners. Investigate juvenile and designated adult criminal activity and incidents as the assigned detective; interview victims, complainants, witnesses and suspects. Ensures safety, security and the preservation of life and property by maintaining law and order and enforcing laws and ordinances. Solves community problems by fostering open and continuous communication and cooperation between the community and law enforcement. The New York City Police Department (NYPD) is the largest and one of the oldest municipal police departments in the United States. The NYPD was established in 1845, and today, is responsible for policing an 8.5-million-person city, by performing a wide variety of public safety, law enforcement, traffic management, counterterror, and emergency response roles. In the past 25 years, the department has achieved spectacular declines in both violent and property crime, ensuring that New York City has the lowest overall rate of major crimes in the 25 largest cities in the country. Enforce city ordinances and state and federal laws. Write citations, make arrests and serve as a resource for the general public. Perform investigative duties to include evidence handling, gathering information and conducting interviews and interrogations. Operate a variety of equipment including but not limited to firearms, handcuffs and radios. Perform other duties as assign. This is a sworn law enforcement position with an emphasis on Community Policing which focuses on crime prevention, organizational excellence and community engagement and inclusion. Portland Police Officers work with the diverse communities in the City of Portland to preserve life, maintain human rights, protect property and promote individual responsibility and community commitment. A Portland Police Officer will function and communicate effectively within the context of varying beliefs, behaviors, orientations, identities and cultural backgrounds. New officers will work various shifts and geographical areas as assigned. Under general supervision of respective sergeants, Police Officers are responsible for general daily police work in the protection of life and property; All Police Officers are accountable for appearance, productivity, and actions as to complete and fulfill the objectives of the Aberdeen Police Department; Performs related work as assigned. Provide a variety of duties related to providing security and protection of air travelers, airports and aircraft. Perform both passenger screening and baggage screening in a courteous and professional manner. Applicants must be at least 20 years and 6 months of age by the date of the KSA exam. A person who is 45 years of age or older may not be certified for a beginning position in a police department. c. Received an honorable discharge from the United States Armed Forces after at least two (2) years of active military service. This position requires you to have Utah POST certification or be able to obtain it within 60 days. Do not apply if you do not meet this requirement. New officers start at the lower end of the range, but consideration may be given for years of experience. Under the supervision and direction of Sergeants, the Deputy Chief and the Chief of Police, the Police Officer is responsible for all general uniform police operations. Those operations include the following, but are not limited to: patrolling the City of Draper to interdict any criminal activity, render aid, arrest or cite when appropriate and protect and promote the public peace. 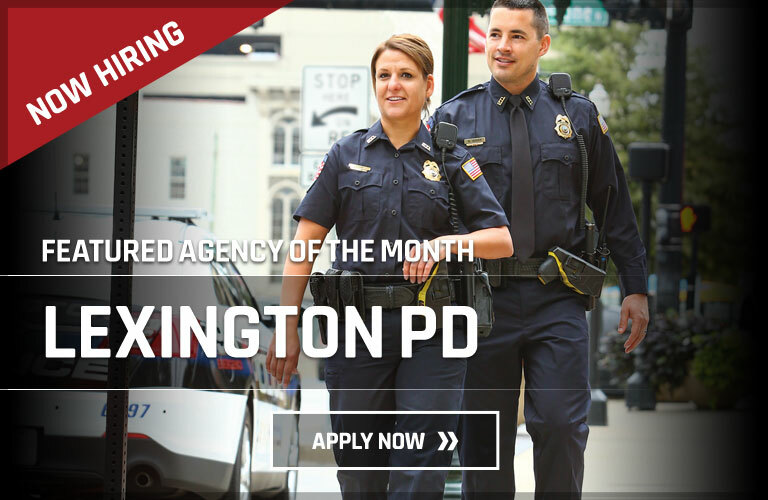 The hiring process for employment with the Burlington Police Department includes a written, physical, and psychological examination; a panel interview, a polygraph examination, a background investigation and a medical examination. Your completion of the supplemental questions on the application are an integral component of our hiring process. Consistency throughout the entire process is critical and will be assessed. Each question must be answered completely and accurately. Do NOT leave any answers blank; enter N/A (Not Applicable) if there are areas that do not pertain to you. Performs intermediate protective service work involving a variety of general or support duty police assignments; does related work as required. Work is performed under the regular supervision of a Corporal, Sergeant, Lieutenant or Captain. Bothell Police Department offers exceptional professional career opportunities for qualified men and women who are committed to making a difference in our community. We invite you to join our team of dedicated professionals in a work environment that values uncompromising integrity, courage, compassion, leadership, and creativity. Working for the Bothell Police Department will allow you to make a positive difference in the lives of others on a daily basis. You will be proud to join the "Blue" and represent the City of Bothell. Under general supervision, perform full performance level security, patrol, and investigative duties necessary for the effective fulfillment of the Division of Protective Service's mission, policies, goals, and objectives. 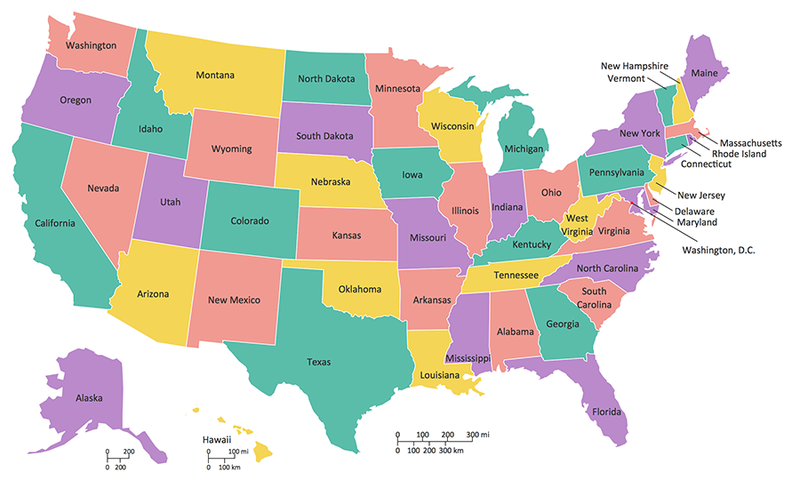 Provides law enforcement and police work involving the safeguarding of the public, state employees and state property and involving other hazardous,criminal, or unauthorized activities. Capitol Police Officers have the same law enforcement authority as the State Police. The director and designated members shall have said powers throughout the state relating to offenses and activities occurring on any property owned, leased or operated by the State of West Virginia when undertaken at the request of the agency occupying the property. Examples of duties: Perform all law enforcement efforts, investigation of complaints and accidents, patrols the Capitol Complex and other state facilities, and operates Directed Public Access Points. Click linkfor additional details and job qualifications. A patrol officer's responsibility involves the protection of life and property, prevention of crime, apprehension of criminals and the general enforcement of laws and ordinances in a designated area on an assigned shift, or on special assignments. The work involves an element of personal danger and the employee must be able to act without direct supervision and to exercise independent judgment in meeting emergencies. The work assignments are general, and special instructions are received from a supervisor. Work is reviewed by inspection, observation of results and thorough oral and written reports. These URL's are made available by Galls, LLC ("Galls") as a convenience and for informational purposes only. They do not constitute an endorsement or an approval by Galls of any of the opportunities, services or processes of the agencies represented or any individual within that agency. Galls bears no responsibility for the accuracy, legality or content of the external site or for that of subsequent links.Contact the agencies represented directly for answers to questions regarding their content.